This article will explain step by step process to create express entry profile for Canada immigration process. It is one of the challenging parts for those who are seeking for the Canada immigration. Before move on to create express entry profile, we highly recommend you to read the above two information about steps for Canada immigration and how to check your eligibility to apply Canada. As soon as you complete your eligibility check, you can start to create your express entry profile. Before you start to create express entry profile from Citizenship and Immigration Canada [CIC] website, make sure that you have all information of language test, National Occupation Classification code of your job experience. If you do not know your NOC code yet, find your National Occupation Code(NOC). At the same time, you have to complete your education credential assessment. The complete list of the information that you should gather before proceed to create express entry profile are passport or applicable travel document, National Occupational Classification position title and code, results of language test, educational credential assessment finding (if one was obtained), copy of written employment offer from Canada-based employer, a copy of your provincial nomination or certificate (if you received one), and your Come to Canada site personal reference code (if you have one). To create MYCIC account, please visit — step by step process to create MYCIC account. This article will explain you all about MYCIC account. Log in to the MYCIC account that you created just now. After you sign in, your MYCIC account you will see a tab that indicates you to create your Express Entry profile (highlighted in the image below). Go through the option of Express Entry as like in the above image. Your personal reference code from the Come to Canada tool. Your Education Credential Assessment results. If you have a Provincial nomination then details of nomination. If you have LMIA approved Job offer then details of your Job offer. Once you complete, hit the “Submit” button. It is very important that after you complete your express entry profile, you have to register with a job bank within 30 days. After you register with job bank you have to link it with your express entry profile. 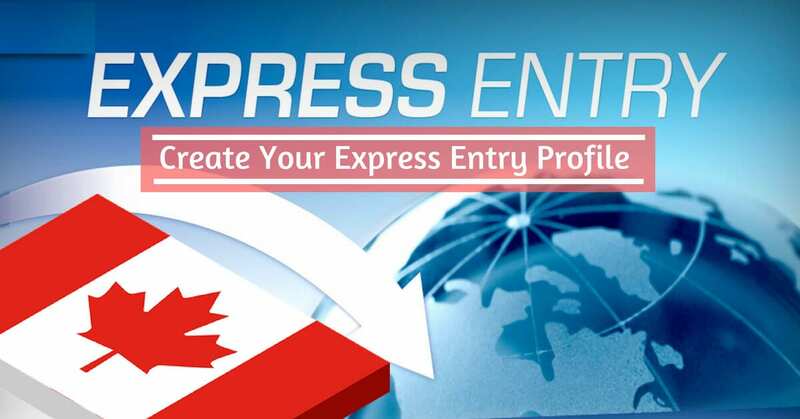 After linking, only your express entry profile will be active and placed in express entry pool.